Located in the heart of historic Markham is the UV2 Upper Village Condos - Just minutes away from Shopping, dining and transit. Great location for families, with excellent schools, parks and Mount Joy Community Centre. Modern living at its best. Enter the lobby with its sleek, modern and inviting design with a 24 hour concierge and atmosphere that enhances your pride of ownership! Living in this chic modern condo will enable you access to the gracious entertaining areas: party room, rooftop terrace, fitness studio and billiard room! Up to 2 years free maintenance – UV 2, the North Tower of the Upper Village condominium residence, is the next chapter in a success story of unprecedented vision that Greenpark is proud of bring to Markham. 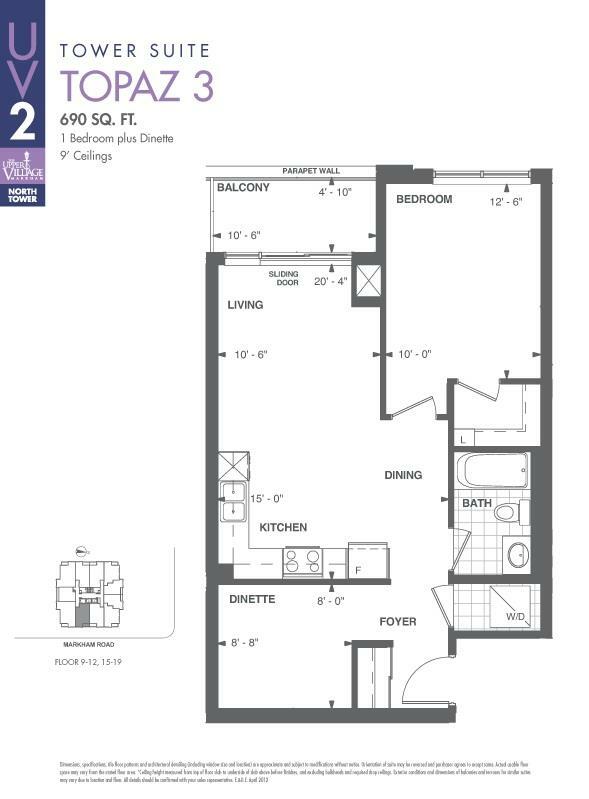 Call us today to visit the fully furnished Model Suite! 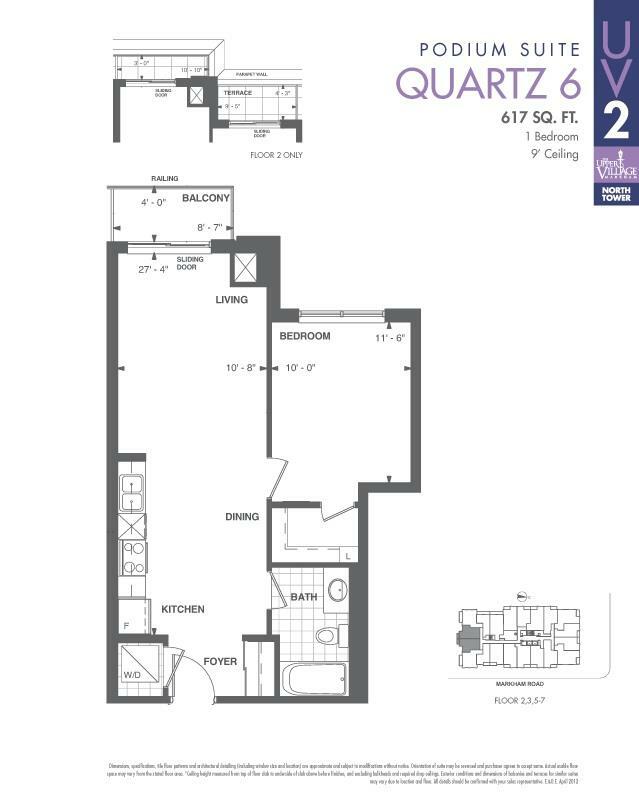 One and Two Bedroom Suites starting from the mid $200’s. 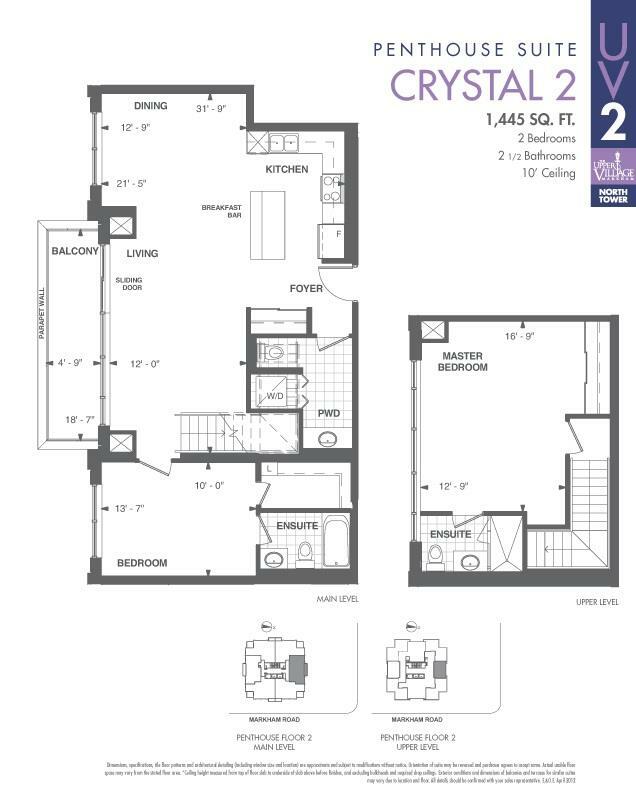 Please Fill Out The Form Below For More Floor Plans, Pricing & Info!